There are fun bird events, seminars and expos all over the South in the next few weeks! 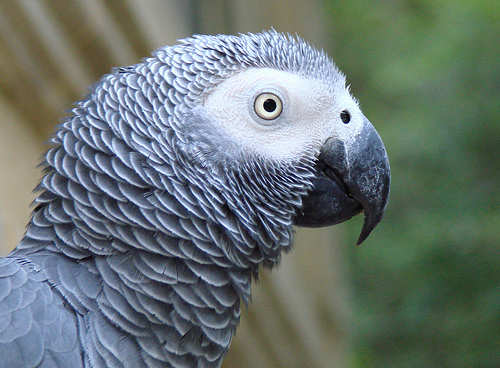 The Exotic Bird Society of America is throwing an expo, seminar and bird trick show at the Central Florida Fairgrounds, from 9:00 AM-4:00 PM. Admission is $5 for non members and $4 for members, and free for children under 12. You can join this society at the gate, and get in for free. They will have shows and assorted seminars all day long. This class will be held from 10:00 AM-12:00 noon. It will explore how parrots exist in the wild with other parrots, and then common aspects about adaptation into domestic life. It will be an educational session on your parrot’s psychology. This fun show will feature exotic birds, feed, cages and toys of all sorts, all at discounted prices. It will go on Saturday from 9:00 AM-5:00 PM, then on Sunday from 10:00 AM-4:00 PM. Admission is $5 for adults, and you can go in both days, and is free for children under 16. It will be held next to Harrah’s Casino. Guests over 21 will get a free coupon for $17 off the buffet or $10 slot play, while supplies last. Birdland will hold this event from 10:00 AM-4:00 PM, which will feature discounted bird cages, toys, food and more. Part of the benefits will go to Birdland, which is a nonprofit that seeks to work with people to keep their pet birds, or to network and find their birds correct homes. They provide foster care to birds before they go to new homes, and help them with health and socialization. The DeViney Enterprises Inc, a bird food distributor, will hold this event from 9:00 AM-4:00 PM. Admission is $4, and free for children under 12. There will be a great deal of exotic birds, toys, cages, treats, food and more for sale at discounted prices. There will also be a door prize drawing at 3:00 PM for a $50 gift certificate for Walmart. Could you please update tunica bird fair to Oct. 23-23 with same add except no $17.00 off buffet. Thank you so much.